If it wasn’t for imaginary sea level rises, how could they scare us? 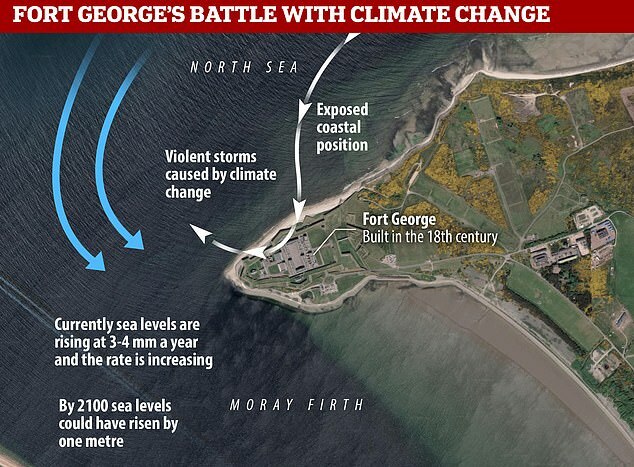 Fort George is losing a battle with the coastal impact of climate change and rising seas, according to an expert. According to the latest projections, by 2100 sea levels in the area could rise up to one meter higher. according to the Historic Environment Scotland (HES). The closest tide gauge shows almost ZERO sea level rise over 30 years and just a small rise over 55 years.